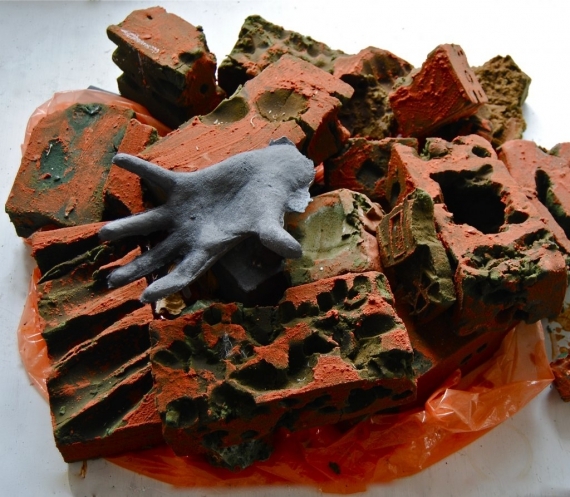 Canerows, bowel movements and a pile of bricks win the fifth Creekside Open run by Art in Perpetuity Trust, Deptford. 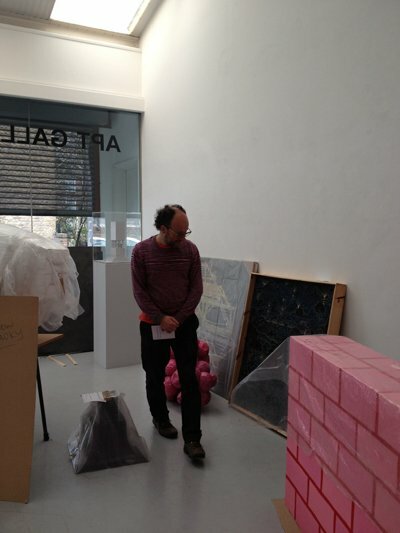 On arriving at Art in Perpetuity Trust (A.P.T) in Deptford, I’m told that Paul Noble is still making his mind up. The Turner Prize-nominated artist is deciding on the three awards of £500 for part one of the Creekside Open. When, 15 minutes later, the announcement is made in the sunny riverside yard of A.P.T. gallery, Noble admits that “when it comes to picking three artists, it’s actually very difficult”. The awards go to Rebecca Townrow for her “crazy grid of plaited hair”, Guimi You for bringing up “the subject of constipation” and Lana Locke for her “really bonkers piece of work”. An element of bravery, self-exposure and humour draws the three winning works together. Painting an atmospheric landscape that is in fact constipated bowels is a way for RCA MA Painting student Guimi You to express her inner complexes. Not shying away from embarrassing bodily functions, she has also used painting to express pimples on her skin. She was drawn to enter the Creekside Open after being told that her works had an affinity with Noble’s. Locke appears happy with Noble’s description of her work, which consists of a distorted cast iron hand coming out of a rubble of wet foam bricks seated on a plastic bag. It resembles a recent archaeological find or discard from a building site – fitting for the Merz Barn nature of the exhibition hang. Noble describes the committee at A.P.T as a “lovely, generous bunch of people” and this enthusiasm can be seen in the energy of the exhibition and the way that he is happy to get drawn in to long conversations with artists about their work.